Ummm, I don't quite understand this. I've just opened up both parts of the white connector, and the wired up connector is MALE. Therefore, all I need to buy is some FEMALE pins and wire seals. The seals and female pins just need to be connected to the sat nav wires, and pushed into the existing connector (the one with the six black blanking plugs). 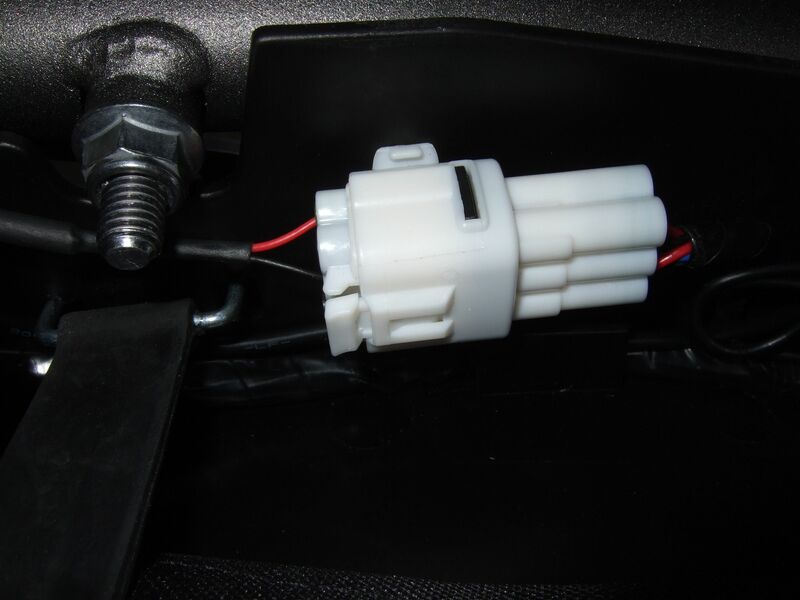 The white plug that is connected to the bike electrical harness is female and the bit with the blanks in is male - it fits inside the femal bit. If you look at the pins inside the female connector they are male. The female pins go inside the male connector. If you are going to use the existing connectors then you just need a couple of female pins and seals. I chose to buy a new male connector as I want to keep the original one to refit in case I sell the bike. OK, now I get it - the female plug houses the male pins. I have a mind to buy some female pins, and insert those into the housing. I do understand your need to replace the plug if you decide to sell, though. BTW, where did you buy your Sumitomo connector from? I've just taken a punt on the parts, i'll post details when i have tried them out, hopefully this week.